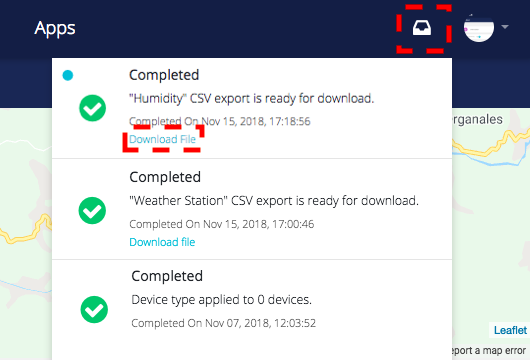 1) Open your Ubidots account. 2) Go to Device Management –> Devices –> Variables and select the Variable whose data you wish to export. 5) A modal window will appear requesting the email to whom you wish to send the CSV and the time frame to be exported. 6) Click on "Done" to complete the process. Now it is your turn to create and send CSV files of your Variable's data! Have a question or comment? Reach Ubidots Support easily using the in-app chat channel located in the bottom-right of your App. 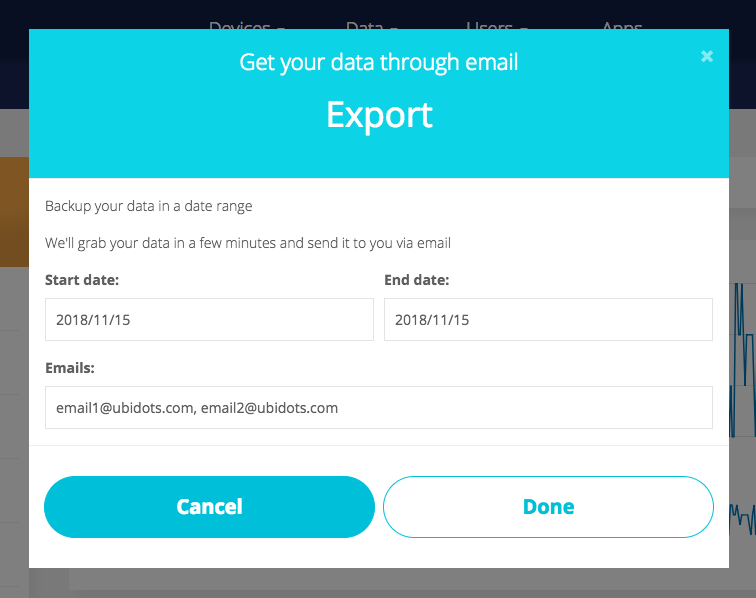 Or, shoot us an email at support@ubidots.com.